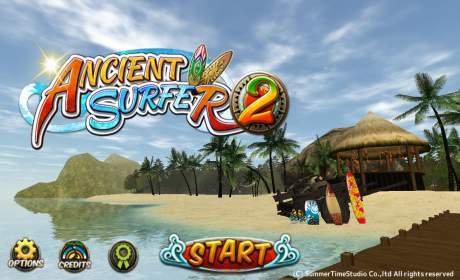 Now, Ancient Surfer is back – more stylish than ever! Ride the waves like never before in this next-gen Surfing game! — Move your surfer downward to pick up speed. — Be careful not to bump into obstacles in the water. 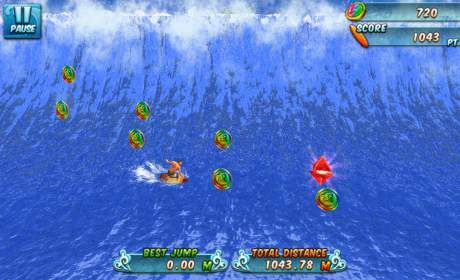 — Gain speed and take off out of the water for jumps. — Get enough hang time to pass the trick line for more stylish jumps. — To complete a trick, simply follow the on-screen commands. — Complete a trick, then spin some more for more points and coins! — There are 45 tricks in all! — Don’t forget to stick the landing, or you’ll lose out on all those points! — With over 100 types of boards, necklaces, and wear, you can easily personalize your surfer! 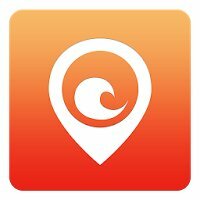 — Collect Rainbow Coins to unlock more skilled surfers. — Upgrade your board for more power! 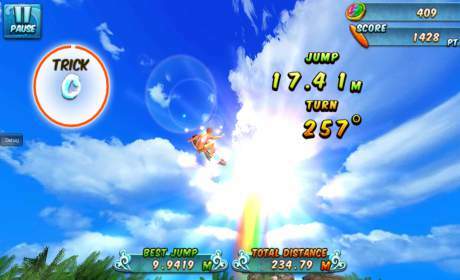 — Combine different items for faster surfing and higher jumps!